Sociology at St. Mary’s University is designed to foster the goals of a twenty-first century liberal arts and sciences education. We educate our students to think systematically, intellectually, ethically, and critically about society. Our goal is to better understand the social lives of individuals, groups, institutions, communities, and societies in all of their complexity and interconnectedness. 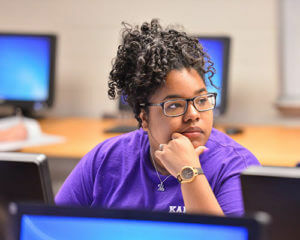 The Sociology student develops analytic, research, and communication skills, and learns how to ask and answer social research questions by using data. Our rigorous and academically challenging program builds a course foundation vital to a variety of fields and careers, and students are encouraged to complement their course experiences with professionalizing opportunities outside of the classroom, campus, or country. Sociology at St. Mary’s University prepares students to contribute to solutions for some of the most complex and challenging social issues we experience in society today. The Pre-law Program increases your chance of gaining admission to law school. 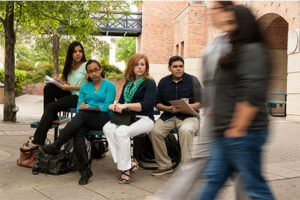 The Nelson Wolff Law Early Admission Program helps motivated students graduate in less time. This program is available to students in the following majors: Criminology, English, International and Global Studies, Philosophy, Political Science, Sociology and Communication Studies. The Guaranteed Law School Admission Program guarantees St. Mary’s graduates admission to the School of Law, if they meet certain criteria. For more information about any of these law-related programs, please see the School of Law Admission section.